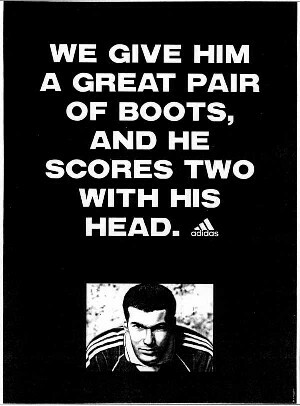 Pleitegeigers Weblog » Even more Zidane - Glaube. Liebe. Hoffnung. NUR DER HSV! And this one is even better. I just recieved the link via Email from Markus who found it at whoateallthebratwurst. BTW: What would we talk and blog about, if Zidane hadn’t run crazy…? We’d probably end up talking about what a great player he was, Cristiano Ronaldo must be glad he is now no longer the World Cup’s biggest cheater.